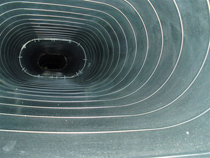 Our Spiral Pipe Division produces pipe from G90 Galvanized and "Paint Grip" Steel. It is available in sizes up to 48". A price schedule for Galvanized, Single Wall pipe up to 24" and in various gauge steel, as well as quotes for larger sizes & Flat Oval (single & double wall) are available by request. We stock the following sizes (in diameter) for spiral pipe: 4" to 10", 12", 14", 16" and 18" in 120" lengths. Fittings for nearly any application are available from our fab shop. Please contact us for special requirements and quantity discounts. 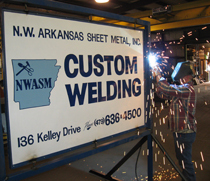 Our Welding / Fabrication Shop started as support for our HVAC Department. 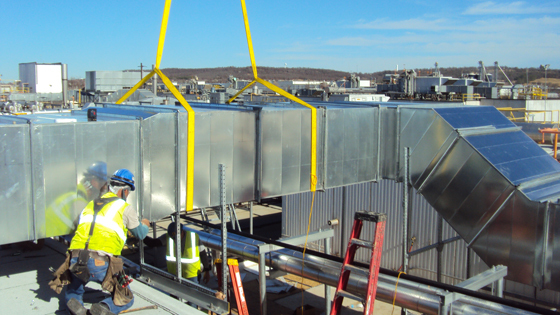 They welded grease duct, roof curbs and various fittings. They still perform those tasks as well as a variety of projects to fulfill the needs of our growing industrial community. TIG, MIG and ARC welding. 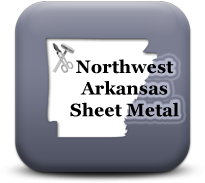 We weld steel, stainless and aluminum. Our capabilities are diverse. We have hand and power brakes with a variety of dies. Materials can be rolled, punched or cut out on a plasma table. Minimum charges may be applicable. Copyright 2018 NWA Sheet Metal, Inc. All rights reserved.